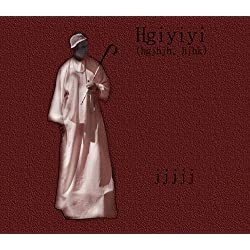 Hgiyiyi (hgjhjh, hjhk) Archetypal lipogram that takes us on an exploration of the double bind hypothesis. The title, Hgiyiyi (hgjhjh, hjhk), alludes to the parameterisation of jjjjj's groundbreaking tractable problem, leading to the 1987 work which is now regarded as sacrosanct. This book documents that period of jjjjj's work, accompanied by a healthy dose of his signature hyperbole and pomp.